Perk up the visitors with some beauty for the service. Layered in symmetry and texture, this beauty brings white casa blanca lilies, white roses,blue irises and towering eucalyptus to the fore. If your recipient likes stylish design, this is the one for them! 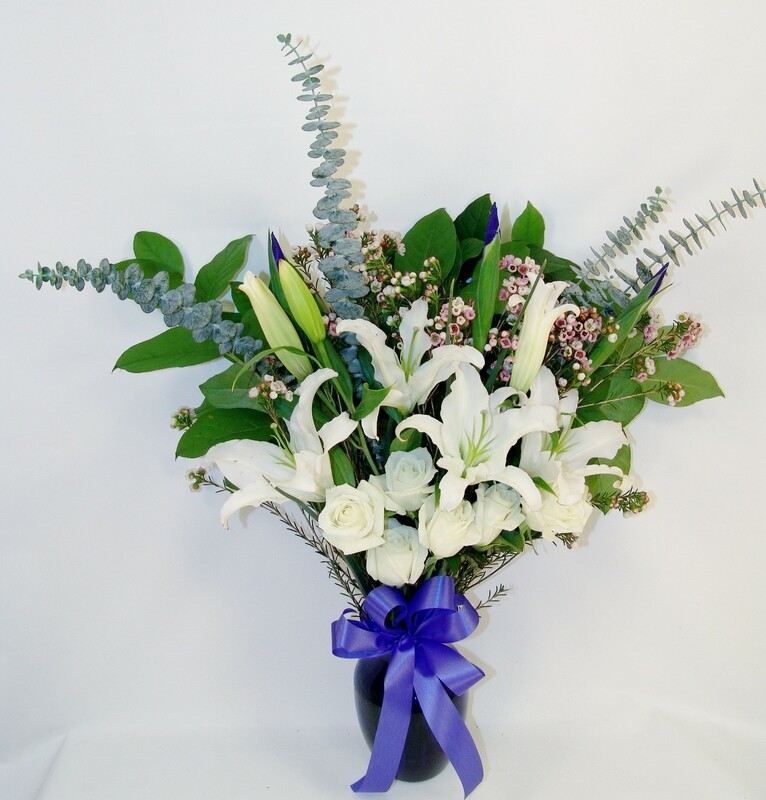 Premium Bouquet includes 14x stems.